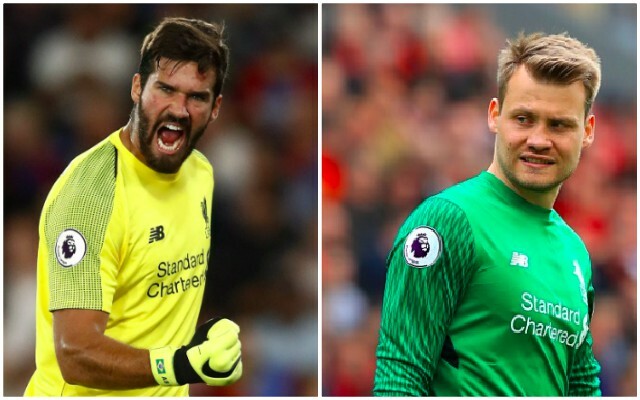 Simon Mignolet has stated he understands why Alisson starts for Liverpool, but that he struggled to deal with being an understudy to Loris Karius. The Belgian lost his place between our sticks around this time last year, when Jurgen Klopp decided to field the German over Mignolet for the second half of last season. Karius initially did quite well, but put in a calamitous performance in the Champions League Final which sadly cost us the game. As a result, Liverpool spent huge to bring Alisson in from AS Roma and the Brazilian has been nothing short of a revelation – bringing calm to our defence and making consistently excellent saves. “Yeah, I can accept it easier now,” Mignolet told the Liverpool Echo about this season’s role on the bench compared to last. “It’s also the fact that the team is playing so well. Ali has been so important for the team. “He has shown his strengths. He’s up there with the top five ‘keepers in the world, if not the best. “He’s playing as the No 1 for Brazil in front of Manchester City’s goalkeeper – that says enough, really. I can accept that slightly better. “Ali and I work well together. We have a very good relationship,” said Mignolet. “I’ve picked up a few things from him and he’s picked up a few things from me. Mignolet has been a perfect professional for Liverpool – but the fact is he was never up to scratch as a no.1. This isn’t his fault, and we wish him well for next season, when he’ll surely head elsewhere for the first-team football he deserves. In his place, Liverpool will need to buy a new backup stopper – or potentially promote Kamil Grabara from the U23s.